Ever wanted to experience all of Europe in one trip, but dread the costs of flying across the Atlantic and the thought of backpacking between hostels? That might just be a “student” problem of mine – hence why I’ve never been to Europe (yet) – but now, all it takes to have a true European experience is a simpler trip to Miami, Florida. 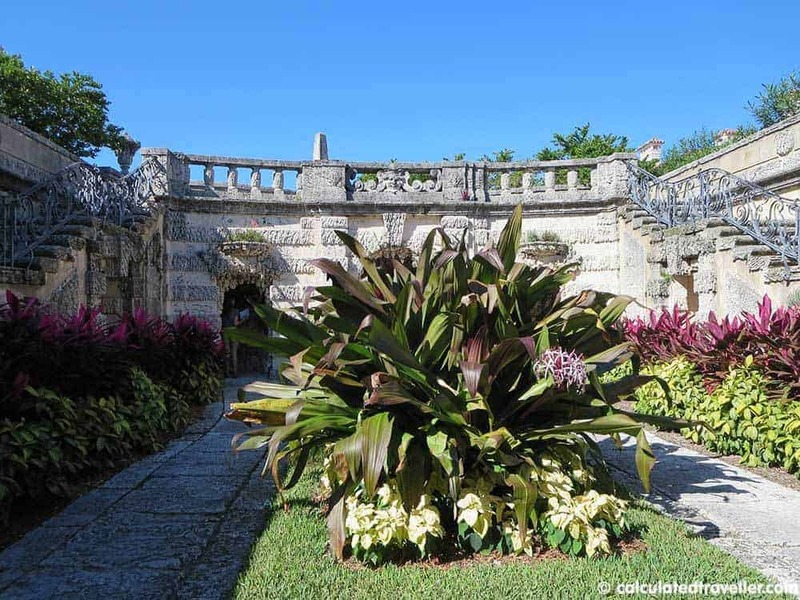 Villa Vizcaya, located just south of downtown Miami, is an enormous villa complex built between 1914 and 1922 that embodies everything that screams the Italian Renaissance but adapts to its subtropical and ocean-side ecosystem. 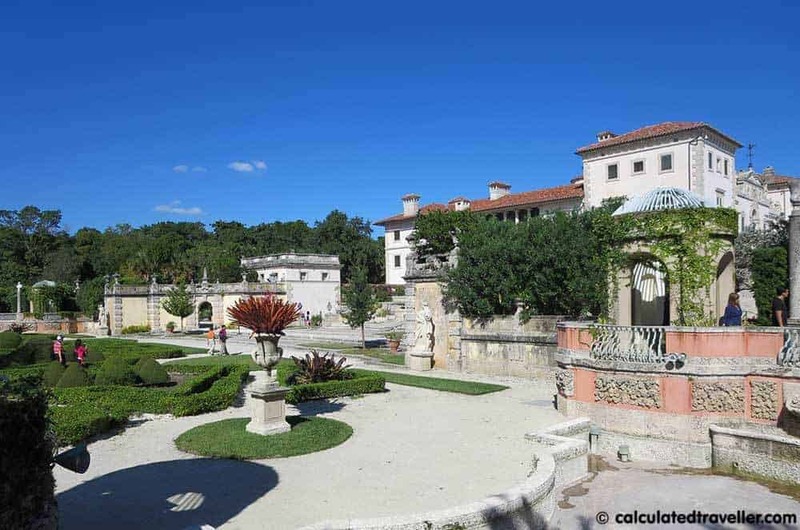 Officially called the Vizcaya Museum & Gardens, the estate was constructed by Biscayne Bay resident and businessman James Deering. In 1910, he travelled all across Europe, in hopes of being inspired for his future villa, as well as collecting art, antiquities, and furnishings to fill the 180-acre estate property. I’ll start from the outside. As in Italy, every view is framed to exude this immense feeling of romanticism and eloquence. Make sure you check out the three features of the landscaping: the Garden Mound, the Formal Gardens, and the East Terrace. The Garden Mound, located at the southernmost point of the site, is an elevated outdoor space with a smaller structure – called the “Casino” – to its edge. Its original intent was to block the sun’s glare from the south while in the main house, but it also was this very local escape. 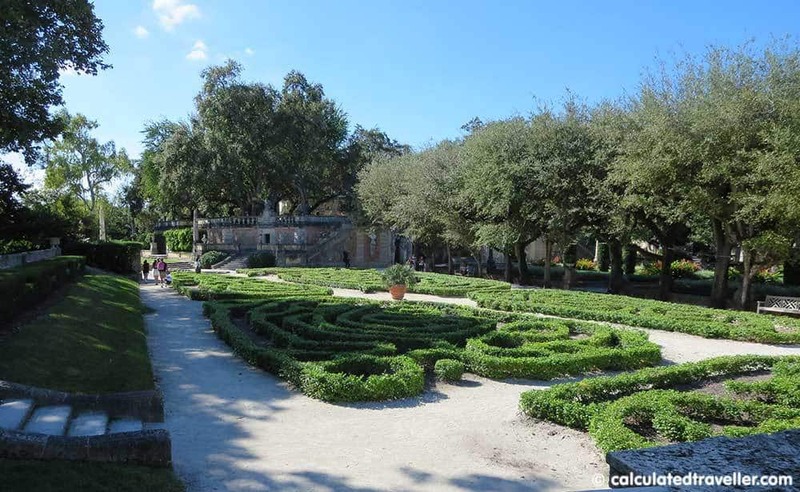 The house stands in a relatively open area – much like its renaissance predecessors in Italy, like Villa Capra – but the Casino and Garden Mound function in the complete opposite manner. Nestled in trees and overlooking the water, it’s really a contemplative space for the resident. Take a moment here and enjoy the peace and quiet amongst a clearing of trees! I could probably spend hours sitting there with a good book. The Formal Gardens is a classic processional landscaping feature, albeit to the side of the main house. No Villa would be complete without the perfectly groomed hedges and serene water feature made from heavy stonework. When here, the main house is perfectly framed by the line of trees, so don’t forget to snap a photo here! Finally, one of the more memorable features is on the East Terrace. 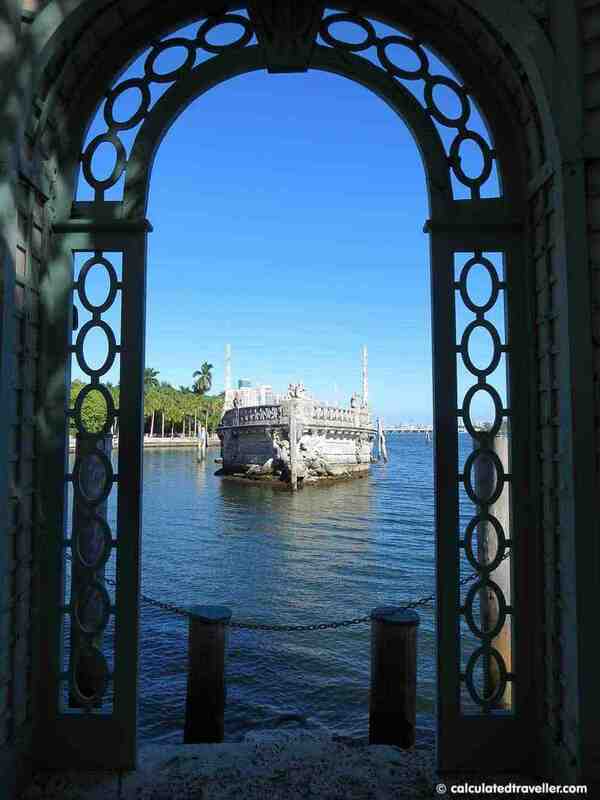 Stepping out to Biscayne Bay, the house is extended into the water to almost create a personal stone dock. The Barge has sculptures create a very romantic image in the evening while serving a clear purpose as a breakwater for the smaller boats. This is quite unusual for an Italian-inspired villa, however, speaks to its fantastic location along Miami’s shore. Anyways, the sculptural ornamentation of the barge makes it appear as if it were the top of a building peaking out of the bay! 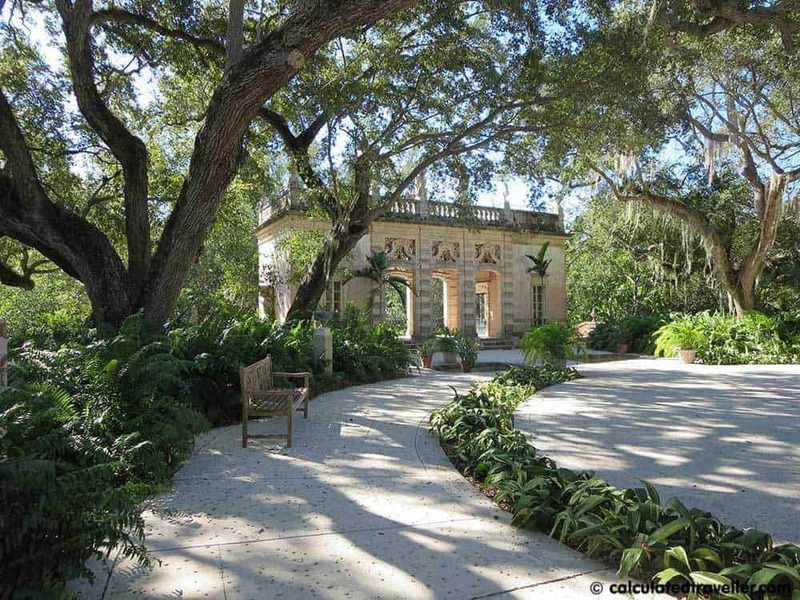 As a building, Villa Vizcaya is quite unique – architecturally, it really embodies a hybrid style, borrowing elements from Miami and Italy into one complex. Much like Palladian architecture in Italy, there is a true symmetry of the building’s design, however, its materiality doesn’t quite line up to the Italianate feel. Rather, it takes a ‘Miami’ approach, adopting a stucco façade over the classic rusticated stonework; though this could also bring to mind the typical Mediterranean image. The recognizable elements that Deering brought over from Italy also include the rounded arches, deep cornices, and classic Doric column capitals. Lots of references to the Renaissance though borrows a few elements of the Baroque. I mean, Villa Vizcaya really is this collage of architectural styles – and that’s what I love most about it. The interior is decorated as if it were a museum, with paintings, chairs, tables, and crown moulding straight from Europe. The floor plan is also very Italian, with some Miami features. The rooms are organized en filade – meaning they open into one another – though the gallery surrounding an outdoor courtyard is very much a request by the wealthy businessman. Each room is unique, as if you were walking into a new home every time you walk through a doorway. Keep an eye out for the seahorse ornaments hidden all over the house, a detail I enjoy seeing! 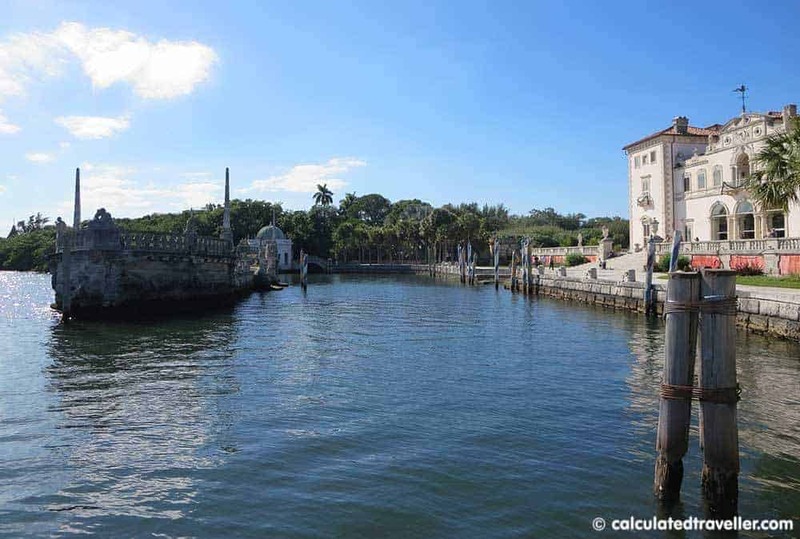 Overall, Villa Vizcaya is quite the unique tour – you get a taste of Italy and Miami all in one estate. It’s a true collage of architectural style that any history-buff would get a kick out of seeing. 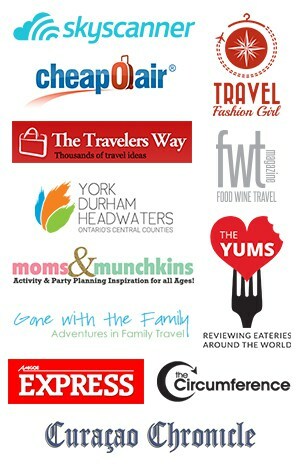 You can visually see the journey Deering took through Europe to build his estate. And let’s be honest, it’s probably the dream home that you had in mind for when you win the lottery! 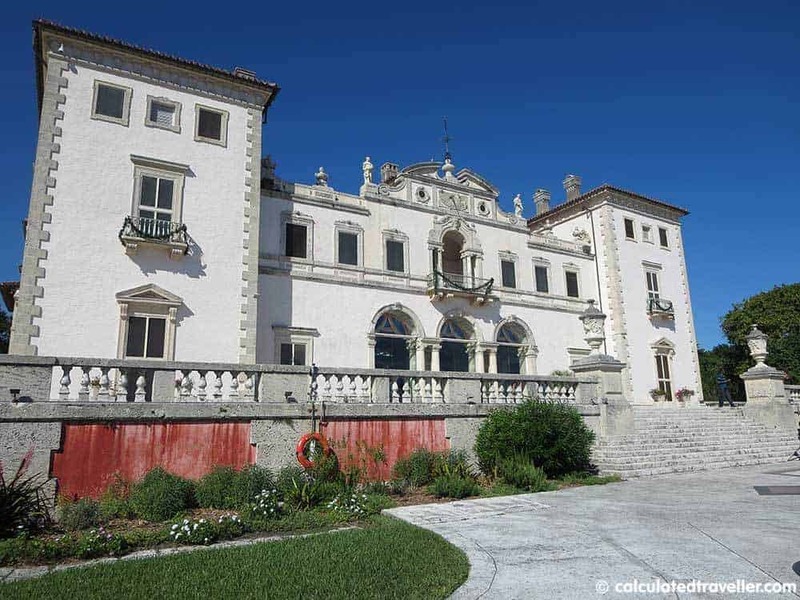 We highly recommend purchasing the 90-minute audio tour for an additional $5 to learn more about the history and architecture of Villa Vizcaya during your visit. I was a guest of Villa Vizcaya Museum and Gardens. All opinions are my own. 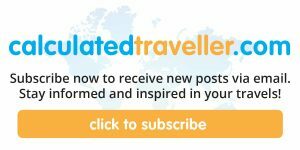 – 11 Things to do in Miami Florida. Wow! This place looks so intriguing! Great post, love the video. Next time we visit Miami we will have to check this out!